This 6,900 square foot building is the second building Structures and Interiors has had the opportunity to construct for Fort Worth Heart, a cardiology group. Completed in 2017. 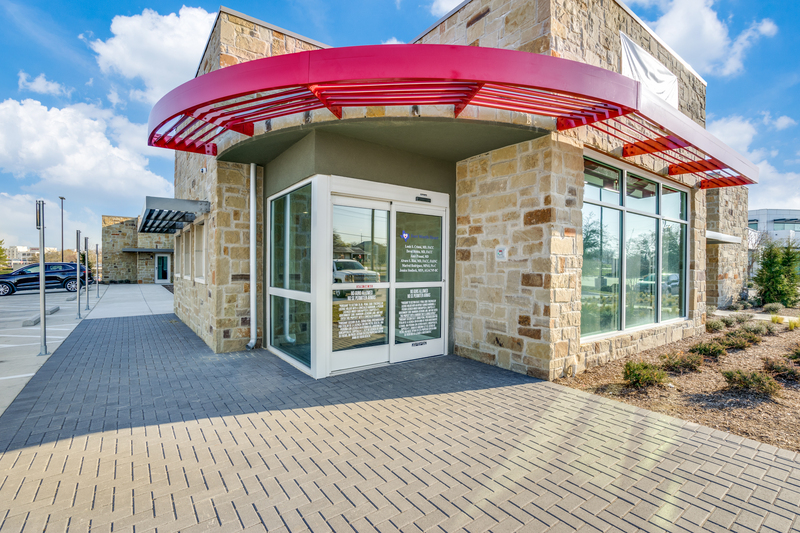 This single story building features a prominent red awning, full stone veneer and white storefront window and door systems. Energy efficient as well; the white TPO roof reflects the sun and the sprayed cellulose insulation in the walls complete the envelope. The interior waiting room showcases architectural clouds. 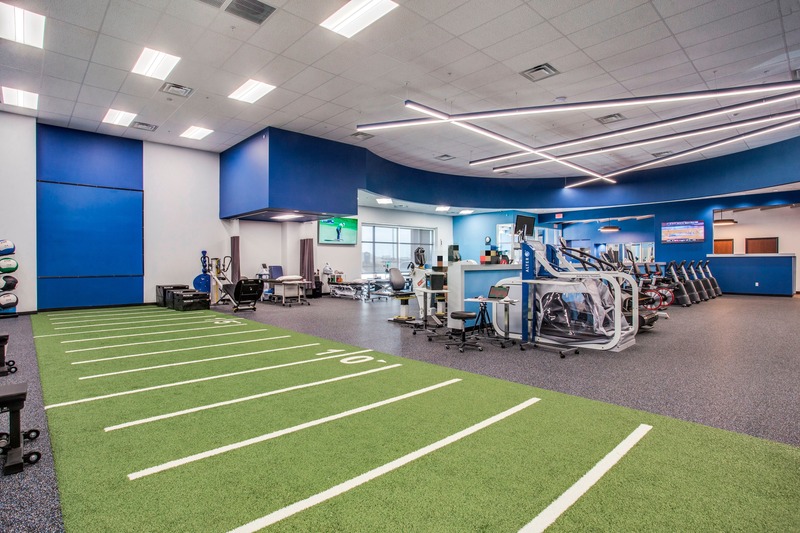 6,000 square foot new tenant finish out for Arlington Orthopedic Associates new Performance Institute at Fieldhouse USA in Mansfield. The project features unique accent lighting architecturally hung to mirror the facilities logo. Sports floors include water-jet accent logos in rubber and striped performance turf . 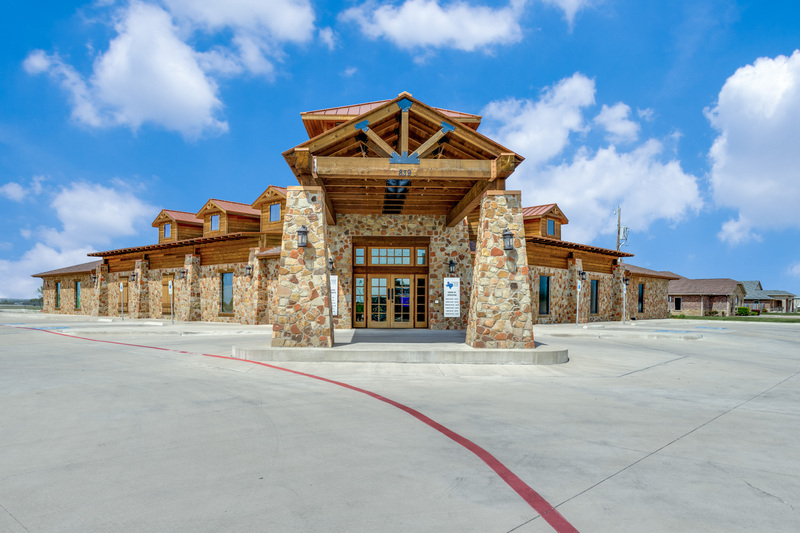 This 7,600 square foot building is constructed for Resort for Pets, a vacation boarding and full service animal hospital. 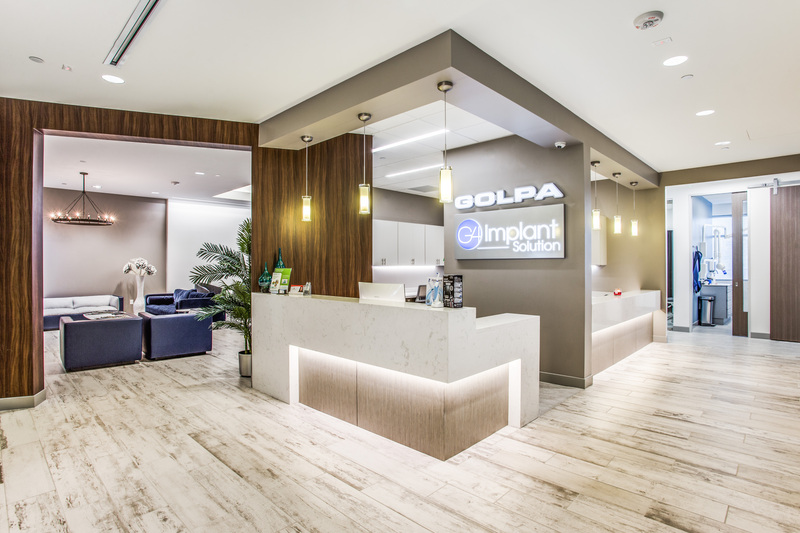 In 2017 Structures and Interiors constructed this 6,700 square foot space for G4 Golpa Dental Implant Center, a dental implant surgery group. This 2,600 square foot project was finished out in 2017 for Dr. Mike Munilla at Munilla Dental. The suite includes 5 operatories. Unique cabinet laminates, Cambria countertops and hand scraped luxury vinyl flooring give the space an inviting feel. This 4,000 square foot building was constructed for Fort Worth Heart, a cardiology group. Completed in 2017. Dena Robinson’s new 3400 square foot space in Dallas has been a great opportunity for Structures and Interiors to build. The office was completed in 2017. 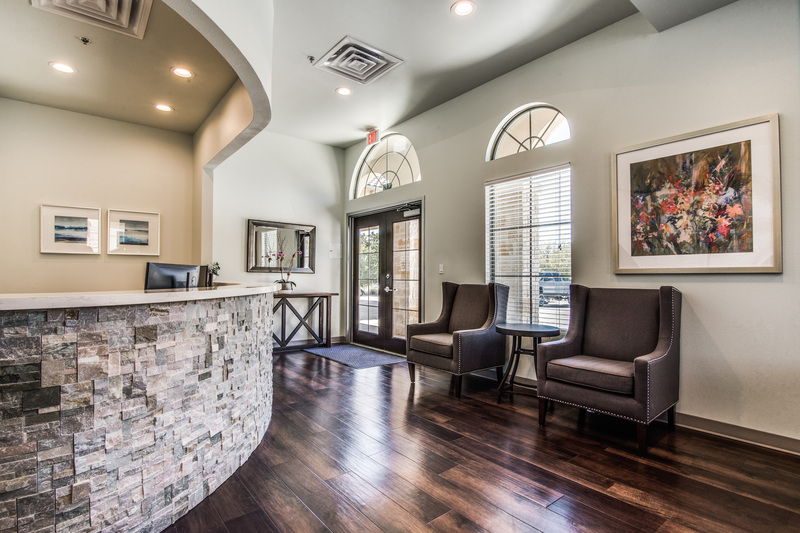 Dr. Robinson and her design team had a vision for a relaxed feeling atmosphere. 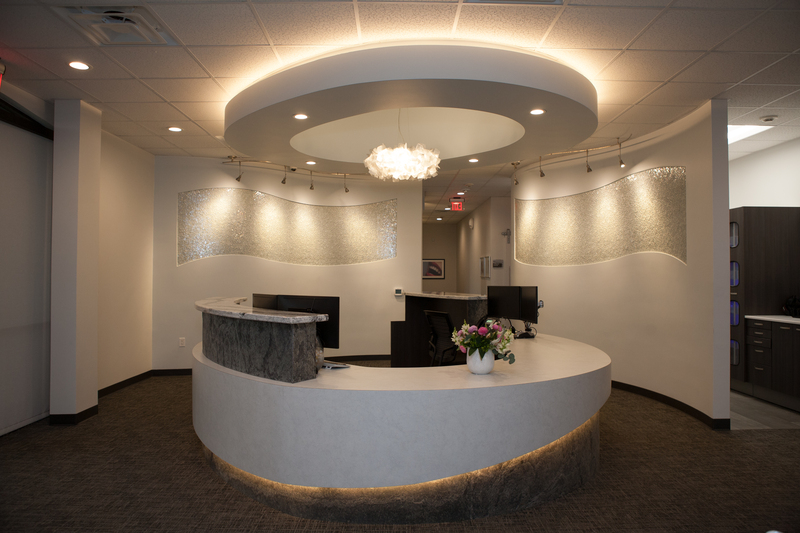 Her office features many circular and curved elements including walls, round accent tile, cabinetry, and round reception desk with complimenting furrdown. Unique materials include natural stone wall covering at the reception desk and 12 o’clock walls, different types of bright accent lighting to highlight features and barn style doors with decorative glass. This office includes a dedicated teaching area. 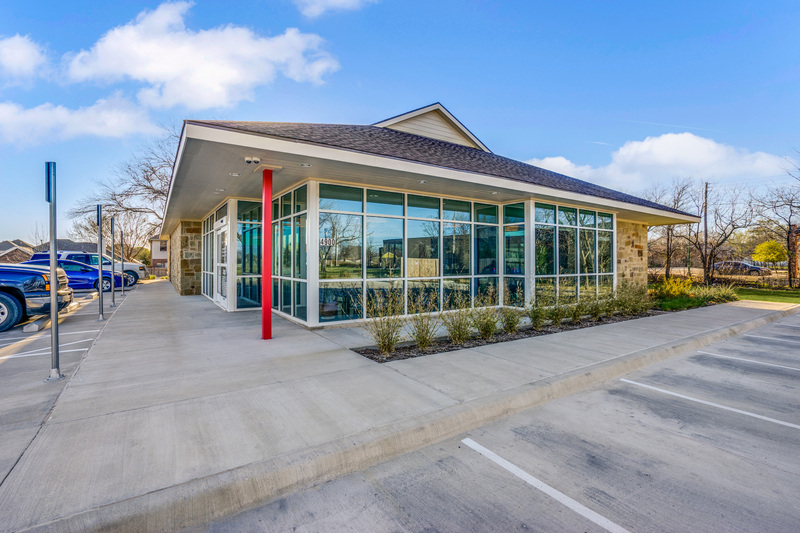 Completed in late 2016, The Arlington Vet Center is a spacious 6,165 square foot full service veterinary facility with several exam, treatment and conference rooms, x-ray lab, operating room, grooming station, state-of-the-art isolation runs, and luxury boarding suites. The interior features a rustic western theme with epoxy flooring in high traffic animal areas along with a built in wet-dry CycloVac system for integrated removal and cleaning of treatment and exam areas. 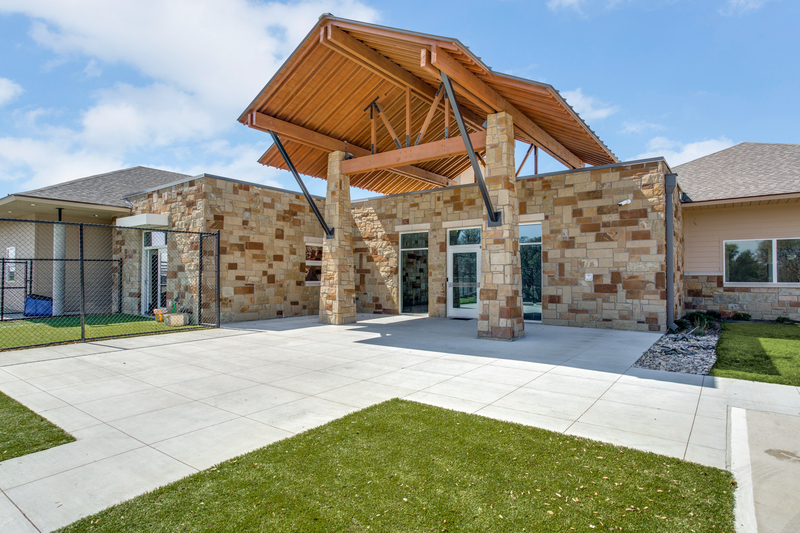 The exterior of the building features lavish landscaping along with several prominent cedar elements, covered steel parking structure, and a covered yard area with K-9 grass. 12,500 square foot building on a fully developed 1.5 acre site. 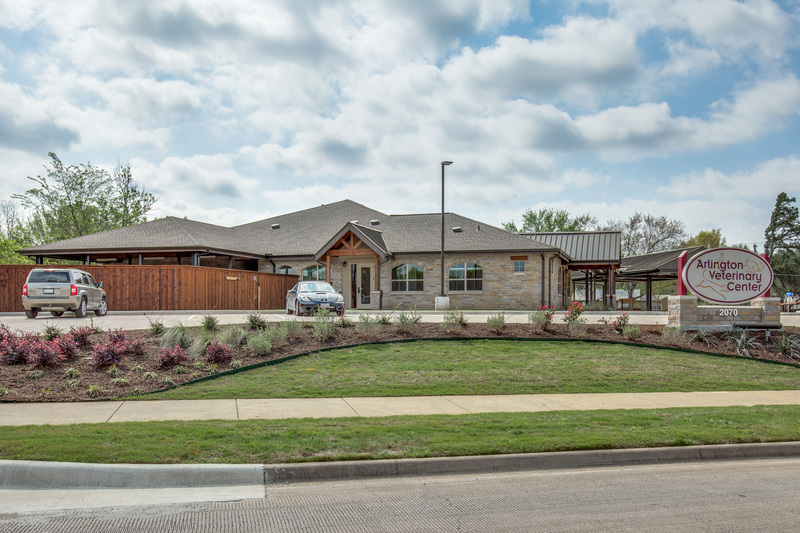 The new offices for the Cleburne Eye Clinic are housed in a hill-country designed building. Proudly powered by WordPress Theme: Blog Writer.